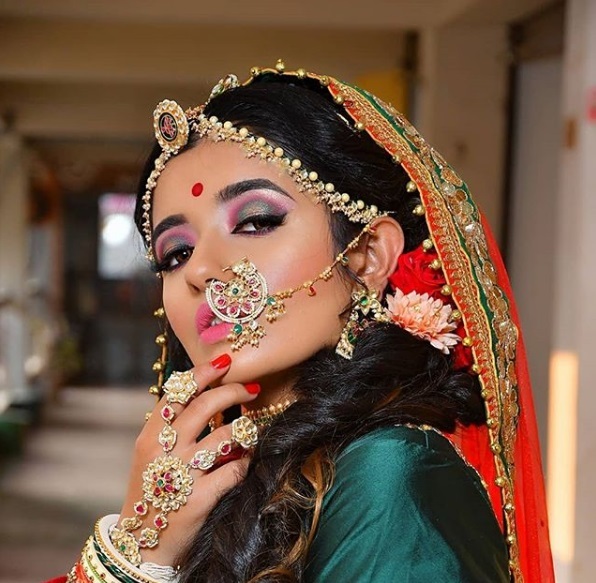 The Indian Bridal look gorgeous. 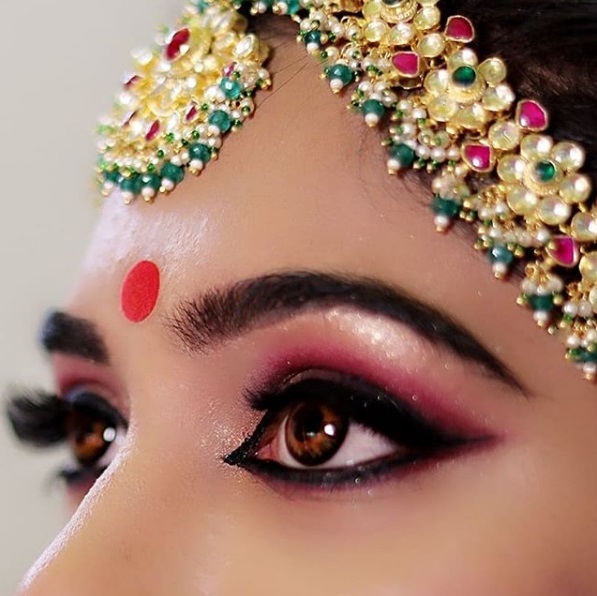 She has done superb eye makeup combination of pink & green eye shadow by jasudbeautycare. She has wearing beautiful Damni, nath & poncha with pink stone & green pearls. Get ready for her Marriage.